Sending an email is a simple-do-do task, isn’t it? You’ve probably sent so many over your life and career, that you don’t even think about how to compose them. They just simply come naturally to you. It’s as easy as typing and clicking “send”, right? In the business world, emails carry a lot of weight. They are used as chief sources of communication and require a great deal of professionalism and sophistication. Of course, it all depends on what type of business you run. But, one thing is for sure. 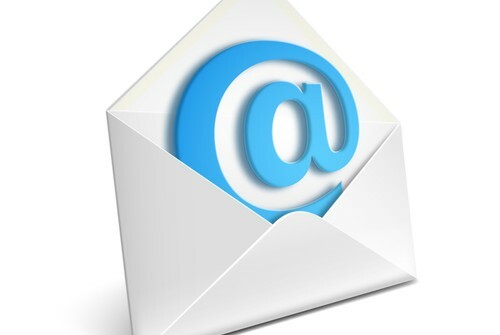 Each and every one of your emails is a direct representation of your brand. Therefore, they should be composed with the image that you wish to project of your business in mind. This is why having an email signature is so important. Every email sent from a MeloTel email account has an email signature. It’s an easy way to maintain a sense of professional consistency. Do you do the same? 1. It makes it easy for customers to contact you. An email signature is basically your virtual business card. The last thing you want is for your email to spark interest in its recipient only for that person to have no means of contacting you other than to hit the “reply” button. Different people have different communication preferences. Your email signature should include your phone number, website and other important ways to find you. 2. It conveys a consistent professional image. No matter how many emails your company sends and no matter what the nature of each email is, they should all end in the same way. This consistency shows a certain amount of professionalism in your company. It should be your goal to always project a favourable image of your brand. Having a simple and clean email signature that is commonplace across the board is a subtle, yet great way to do that. 3. It works as a great marketing tool. Naturally, all businesses are interested in making money. The end goal of all of your modes of communication is to generate revenue for your company. By having an email signature that clearly displays your phone number and website, for example, you offer ways for your message recipients to look further into the products and services that your company provides. 4. It serves as a great reminder. Of course, you do have the opportunity to make variations to your email signature any time that you choose. For example, if your company is running a new campaign that offers products and services at a discount for a limited time, you may want to include a quick blurb about it in your email signature. That way, even when your emails aren’t about your new sale, they will still serve to remind recipients of your company’s new initiative. 5. It minimizes legal ramifications. Your email signature can also include disclaimers, if necessary. In some cases, it can be used to provide all necessary disclaimer information that protects your company, its employees and its customers. Again, it all depends on the nature of the business and the content of the email. But, an email signature is a great way to keep things consistent for your company in all of its communications. At MeloTel, we provide our customers with Domain, Email & Web Hosting. No matter the size your business, you can rely on our high performance world class network and our state-of-the-art data centres. None of our plans require any term commitment as you are free to cancel at any time. Our servers offer incredible performance, storage and processing power! For more information, please don’t hesitate to contact us at 1-888-MELOTEL or use the “Live Chat Support” feature on our website!